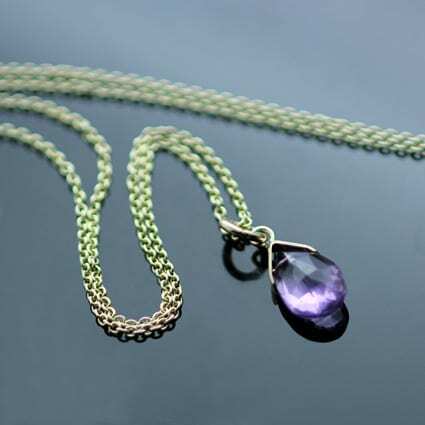 Delicate, beautiful and modern birthstone and precious gemstone jewellery designed and handcrafted by Julian Stephens Goldsmith. The ‘Briolette’ capsule collection features precious birthstones which have carefully cut into stunning Briolettes, intricately faceted droplet shaped gemstones which are expertly set in gold to create modern, minimal jewellery that would make a perfect gift or treat. 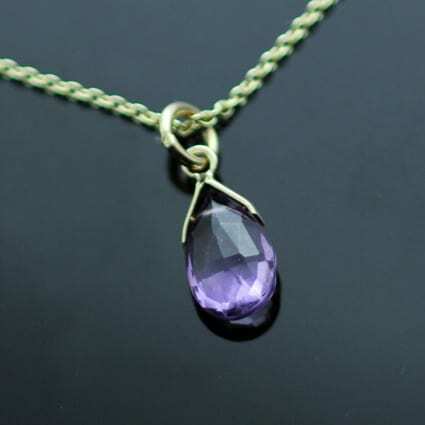 Amethyst is a beautiful quartz stone which is famous for its opulent, rich purple hue. 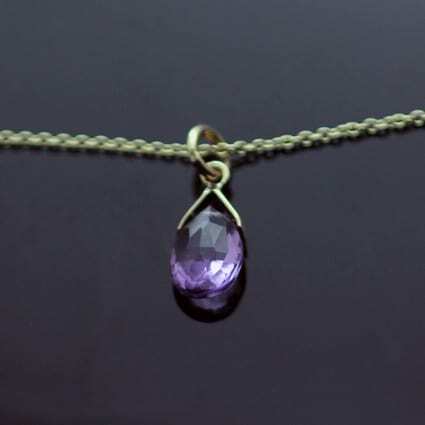 In this example, the stunning purple shade of the faceted Amethyst is enhanced by the dainty 9ct Yellow Gold Setting which is carefully polished to enhance the sparkling facets of this gemstone. 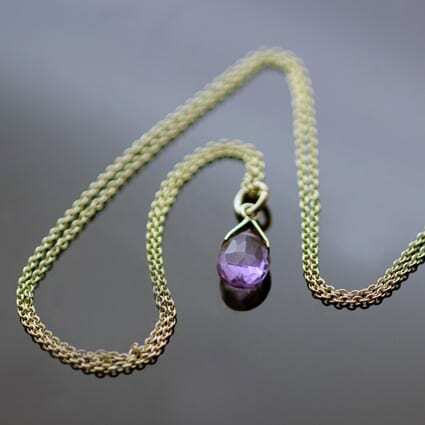 The beautiful Amethyst necklace is finished strung on solid 9ct Yellow Gold fine 18″ thread chain.